Are Anne Curtis and Erwan Heussaff Getting Hitched Today? There are pics of Anne in a white gown! For months now, the rumor mill has been churning out a few details on the whats, whens, and wheres of the Anne Curtis-Erwan Heussaff wedding. And according to the social media posts of their friends, today might be the big day. The family and friends of the bride and groom have been posting photos of their trips in New Zealand, where the wedding is to be held. Here’s another photo of the beautiful bride, posted by Anne’s hairstylist Raymond Santiago on his Instagram account, @santiagoraymond. Raymond wrote in his caption that Anne's makeup was done by Robbie Piñera. We can’t wait for this gorgeous couple to say their I-dos! 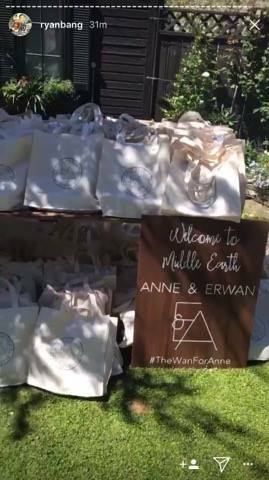 In the meantime, we're so following #TheWanforAnne. Stay tuned for updates!